At the urging of the BCA Board and with the support of Supervisor Art Warren, the School Board is now considering funding the roundabout at the new high school. President Rowe stated that the BCA will be holding their Staff Appreciation Cook-Out at 1:00-3:00 p.m. on October 1, 2010. Code of Ethics and Standards of Conduct. Director Friedel presented a draft of a formal Code of Ethics and Standards of Conduct document for all BCA Personnel which includes all Board Directors, Committees members, and Staff. He has asked for feedback on this document. You can send your comments to NRCInfo@BrandermillNRC.com. Bob Malek reported that the Reservoir Management Group ("RMG") is seeking further information from the County and its consultant regarding the effectiveness of the carp in decreasing hydrilla growth in the reservoir. RMG has conducted a survey of shoreline residents to evaluate the growth of the hydrilla. Assistant Community Manager Al Raimo reported on behalf of the Community Manager who was on vacation. In addition to his written report (see page 23 of the September 7, 2010 BCA Board Information Packet, Part 1), he asked for the Board's approval for new Activity Committee Members: Donna Casey (Woodbridge Crossing), Erin McGlyn (Walkers Ferry), Karen Overall (Muirfield Green), Chris Schwartz (Whispering Oaks), and Jan Tussing (Timber Ridge). Motion was APPROVED unanimously. Assistant Community Manager Raimo also reported he was in receipt of numerous emails and voice messages from residents in regards to the mailbox issue. Community Character. In addition to CCC's written report (see pages 1-7 of the September 7, 2010 Board Information Packet, Part 2), Chair Dianne Cardea stated that the committee is looking into working with some of the local schools to help update their appearance. Director McGinnis noted that the elementary and the middle schools could use some sprucing up. Natural Resources. Bob Malek gave an extensive report on the developing hydrilla issues. Residents feel that the young carp are not eating enough of the hydrilla yet, and there is concern that if our winter season is not cold enough to keep the plant dormant, we could face a bigger problem next year. He suggested hosting a meeting with the Board of Supervisors at the lake to view the hydrilla and to discuss its impact on the reservoir. NRC. First Vice Chair When-Dee Morrison reported that the NRC and BCA are working together to deliver welcome totes to new residents. Upcoming NRC meetings are scheduled for September 26, 2010 and November 9, 2010. The NRC will also be meeting with the BCA Board on November 4, 2010 to discuss an MPOC communication strategy. On closing, she provided three pages of resident feedback regarding the mailbox issue, stating that the majority of contacted residents were opposed to the new mailbox changes. The NRC thanks all residents who came out to speak during the Member Voice portion of the mailbox issue. These included but are not limited to Mark Smith (Cove Ridge), Alice Dolezal (Long Shadow), Karen Gammons (Two Notch), Chuck Bryant (Planter's Wood), Rich Kury (Cove Ridge), Betsy Bolling (Fortune's Ridge), Chris Glaze (Woodbridge Crossing), Andy Wyman (Walnut Creek), June Rayfield (Shallowford Landing), Pat Goldberg (Northwich), Michelle Gittens (Shallowford Trace), Jeanne White (Fortune's Ridge), Adrienne May (Winterberry Ridge), Bob Pratt (Timber Ridge), Jim Morris (Nuttree Woods), Toni Stevens (Planter's Wood), Mamie McNeal (Planter's Wood), Christine Barnes (Sterling's Bridge), and Dianne Cardea (Winterberry Ridge). Motion was APPROVED 6-1. (FOR: Directors Rowe, McLenagan, McGinniss, Guthrie, Livingston, and Hillman. AGAINST: Director Friedel.) The standard is stated on page 18 of the September 7, 2010 BCA Board Information Packet, Part 2. The Board voted on the Community Improvement Grant Application submitted by Tanya McGinniss on behalf of the Huntgate Woods neighborhood. Motion was APPROVED unanimously. The Board discussed increasing the Capital Improvement Fee from $150 to equal our annual assessment amount. Director Livingston indicated that adding a capital improvement fee equal to the BCA annual assessment would add approximately $400 to the sale of a house and asked if it was appropriate to have this fee apply only to new residential home buyers coming into Brandermill. BCA attorney Andrew Elmore has advised that a referendum be put in place for residents to vote on this increase. The Board voted unanimously to approve a referendum sent to the residents so they could vote on whether or not to increase the Capital Improvement Fee. Member Voice: Bev Bell (McTyre's Cove) spoke about spending $40,000 on two areas of the front entrance (Hull Street and Old Hundred Road) and the back entrance at Brandermill Parkway and Old Hundred Road. Showing entrance pictures of Woodlake, Hampton Park and Brandermill that she had taken earlier during that day, she elaborated on how she felt our front entrance looked better than the other two. She also questioned how the area along Millridge Parkway between Old Hundred Road and Court Ridge could be "beautified" since it gets no sun. She stated that the area could be simply beautified if the fallen limbs were picked up. Buddy Whitfield presented the 2011 Draft Budget to the Board and participated in a discussion regarding the proposed budget. It was stated that during the October 4, 2010 Board Meeting, there would be a presentation about the budget to both the residents and the Board. Final approval of the budget must take place at the November Board meeting so it may be published in the December issue of The Village Mill in order to meeting POAA requirements. Bring a prospective NRC rep and a dessert (optional), attend a short NRC meeting, and let's get to know one another at a BBQ immediately following the meeting. So that we may have ample food and drink available, RSVP is required by Tuesday, September 21 to NRCInfo@BrandermillNRC.com. Please include the number of people attending in your RSVP. Seating is limited, so RSVP now! DOOR PRIZES TO BE GIVEN AWAY! Due to the number of people now expected regarding the mailbox implementation and the limited space at the Harbour Pointe Club House (also the football game between Clover Hill High School and Cosby), the resident meeting for tonight, Friday September 17, 2010, will be postponed. Arrangements are being made for resident input and discussion at a future meeting. 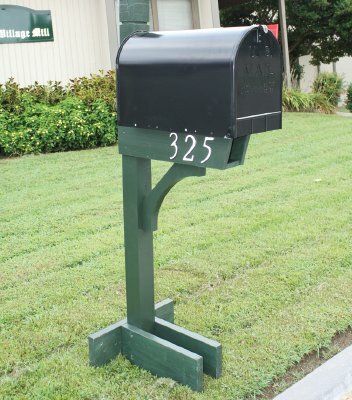 On Tuesday, September 7, 2010 the BCA Board of Directors approved a new design for residential mailboxes. This proposal originated from a committee of Brandermill residents striving to revitalize our community. No further action on this issue was taken at that meeting. The Board has now charged the Master Plan Oversight Committee (MPOC), consisting of Chairpersons for all volunteer resident committees, to develop an implementation plan for this design. This committee will consider among other things, the costs, vendors, and a time schedule. Close to 100 residents are actively participating in this process through their committee work. As we move forward the Board will depend on and value their input as well as those from all our residents, and we encourage your participation. The Board is always concerned about the economic aspect of its decisions. As we receive implementation suggestions, we will proceed cautiously to assure minimal impact to our membership. To ensure that all residents have complete information on the process, we will continue to publish all updates and decision points through our media, including BCA and NRC web pages, BCA and NRC e-mail blasts, The Village Mill and all designated committees. Since many of you participated in the mini-meetings during the planning process, we ask that you revisit the document, especially the recommendations included on page 286, Chapter 7 of the Master Revitalization Plan. This document is available on the BCA web site: http://www.brandermill.com/?id=174. At the September 7, 2010, BCA Board voted on the issue of replacing all mailboxes in Brandermill. In a 5:2 vote (For: Rowe, McLenagan, McGinnis and Guthrie; Against: Livingston and Hillman), the BCA Board has now approved the new mailbox design depicted in the picture on the right. The Board now moves forward and asks MPOC to suggest an implementation process whereby all Brandermill mailboxes may be replaced in an orderly fashion. I think I speak for the board in expressing our gratitude to each of you for your time and effort in providing relevant, timely information to our residents. Because of your work concerning the mailboxes, residents were informed and able to communicate with us via numerous emails, personal contacts and attending the meeting. I want you to know that we appreciate all resident comments as well as the necessity of having this level of input as we consider other changes for Brandermill. Though we may not always vote based on turnout, as happened last evening, I want to assure you that this is no reflection on you or your dedication. I also want to express how important you as a committee are to us. We appreciate your feedback on issues under consideration and your support once decisions have been made. We rely on you to engender the support base we need as we move forward with the Master Plan and the many projects it entails. Again, thanks to each of you for your continued efforts and your continued interest in our community. NRC reps, we need your input! At the September 7, 2010, Board of Directors meeting, Director Friedel presented a proposal to adopt a formal Code of Ethics and Standards of Conduct for BCA Personnel which includes all Board Directors, committee members, and staff. It is now up to us to review and suggest changes. This document will be applicable to all Brandermill residents serving in any volunteer or paid positions. To download, click the following link: Proposed Code of Ethics and Standards of Conduct. Please take a moment now to read this draft and give us your comments and/or suggested changes by September 21, 2010. 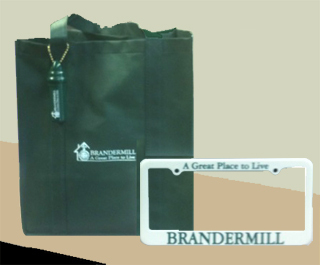 You can e-mail suggestions to NRCinfo@brandermillnrc.com. Many NRC Reps have requested notification of new residents moving into their neighborhoods. Now, here's an opportunity for you to not only be notified but to welcome your new neighbors. The BCA has agreed to notify the NRC of new residents moving into Brandermill. For NRC Reps who volunteer to deliver BCA's welcome gift (a BCA tote bag with an attached boater's key ring, license plate holder, and information about our great community), this is a wonderful opportunity to introduce themselves to their new neighbors. The process is easy. Simply reply to this e-mail with "Yes, I want to deliver the welcome tote." The NRC will notify you when a welcome tote is ready to be picked up from the BCA office, and you can deliver it to your new neighbor within two weeks of pick-up. The BCA office now hosts a prototype of the proposed mailbox unit for all Brandermill residents to view. Simply visit the BCA office and ask to see it. Constructed by MailboxesByAkins, this prototype represents the recommendations based on a master plan initiative undertaken by the Community Character Committee and is supported by the ARB. The cost of the mailbox unit to residents is in the range of $155-$170. To allay cost concerns for residents who recently replaced their mailbox units, MailboxesByAkins indicated that any unit they have installed within the past year will be replaced with the new design at no charge. The one-year timeframe would be based on the date the mailbox unit is approved by the BCA Board. The BCA Board continues its discussions to mandate new mailbox units at its September 7 (7:00 p.m., Brandermill Woods) board meeting. Residents wishing to express their personal opinions about the new mailbox prototype should contact the BCA Office (744-1035) to speak during the Member Comment section of this agenda item at the next BCA Board meeting. Note: The Community Character Committee continues to request feedback on the covenant enforcement process. If you would like to organize a neighborhood meeting to discuss this or any other neighborhood issue, please contact us.